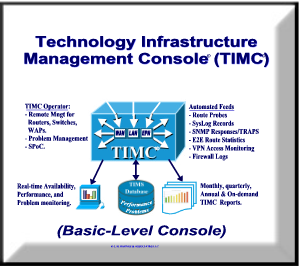 Proactively monitor speeds, bottlenecks, and error rates on ISP routers, cloud-computing applications, DNS servers, DSL/cable modems, and all other components of your technology infrastructure. Performance and availability statistics enable us to manage your technology infrastructure on a continuous, 24/7 basis, including creating online statistical reports that include speeds, bandwidth, latency, jitter, and ping statistics. Monitor the operational state of major LAN components including routers, switches, WAPs, and EPN devices. Branch Offices - located in the same metropolitan area, or in remote locations thousands of miles away. Client VPN Access - for Work-from-home, telecommuting, traveling employees, and secure BYOD accessibility. Gateway VPN access - for Branch locations and CSPs that require secure gateway-to-gateway channels. 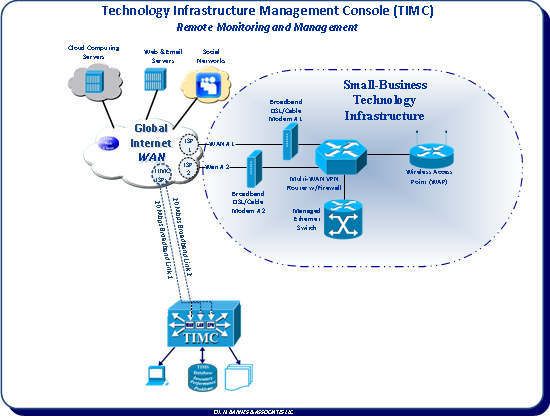 Provide user help desk and Single-Point-of-Contact (SPoC) for all ISP, Global Internet WAN, and LAN problems. Archive all captured performance and availability statistics for long-term to audit ISP and CSP Service Level Agreement (SLA) guarantees, and develop fault-trending analysis reports. Try TIMS at Absolutely No-Risk! 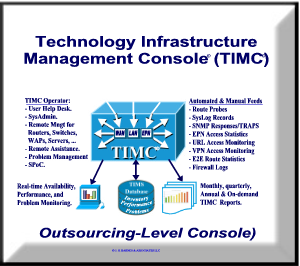 Unlike the expensive network management systems that have been available from other vendors in the past, TIMS is a robust, cost-effective management remote solution that can be implemented in five days or less, and requires no up-front investment of any type. 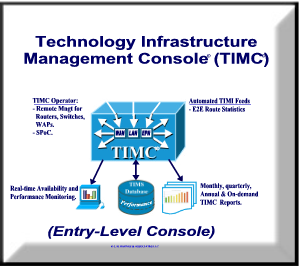 Additionally, the entry-level TIMS implementation cost less than one hundred dollars per month, and is absolutely free for the first thirty days. 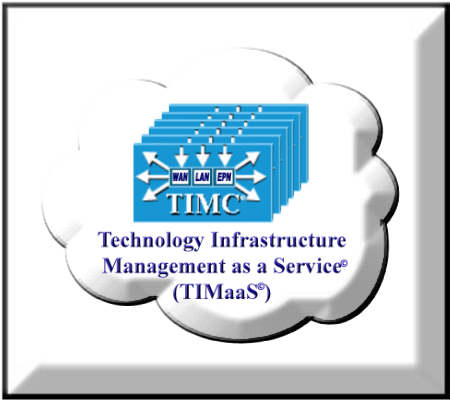 If any of our TIMS implementations are unacceptable, we will restore your network to its original state, at no cost to you or your company. Please contact us at 602-478-* 4778 or 623-979-1827. You can also reach us via Email at info@jhbarnes.com.